Mort, 1966. 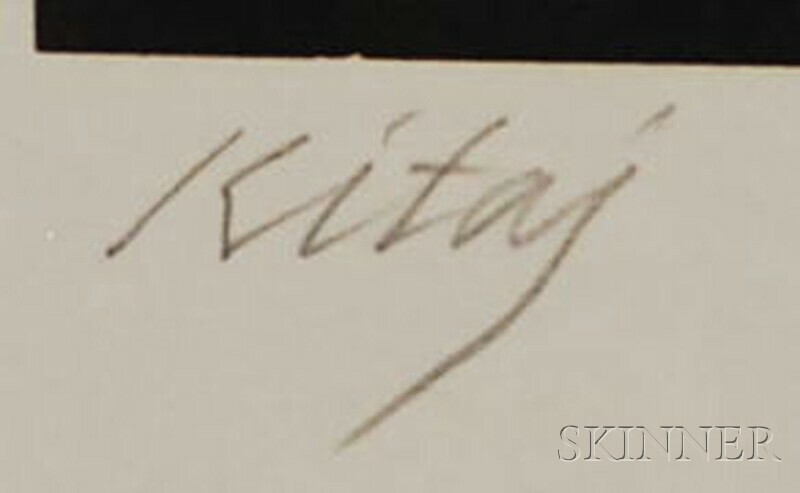 Signed "Kitaj" in pencil l.l., numbered "56/70" in pencil l.r., published by Marlborough Graphics, London. Silkscreen on paper, sheet size 40 x 27 in., unframed. Provenance: Albright-Knox Members Gallery; estate of Charles Rand Penney (1923-2010), Lockport, New York.